This text presents the work of four international architects, each of whom has combined vernacular building with the use of concrete, to create buildings that respond sensitively to their environments while functioning as symbols that transcend their immediate surroundings. The approaches of the architects featured here have allowed them to forge an architectonic language. 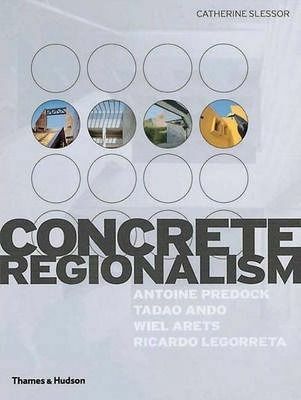 The book includes work ranging from Predock's interpretations of America's Southwest desert to Ando's intervention into natural and urban contexts, and from Legoretta's representations of Mexico's rich pre-Columbian heritage to Aret's "second-modernist" forms, which shows how each architect's individual vision has created unique buildings.